Material and Finish: Zigzag, double-stringer stairs made of powder-coated steel with American red oak treads and top rail. The railing's steel posts are the Ithaca Style and powder-coated black. 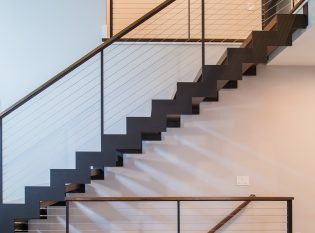 The staircase features 316 marine grade stainless steel cables and fittings. 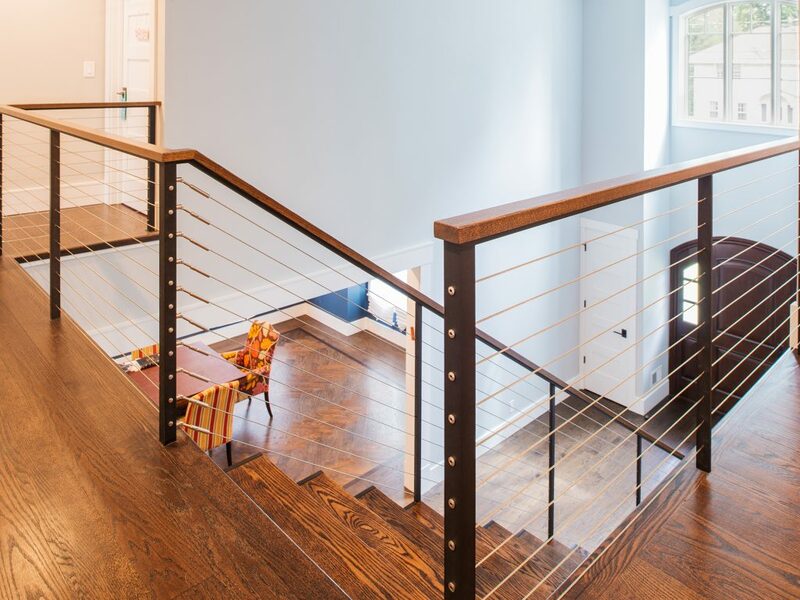 Description: Custom zigzag stair stringers made from steel with the Ithaca Style cable railing. 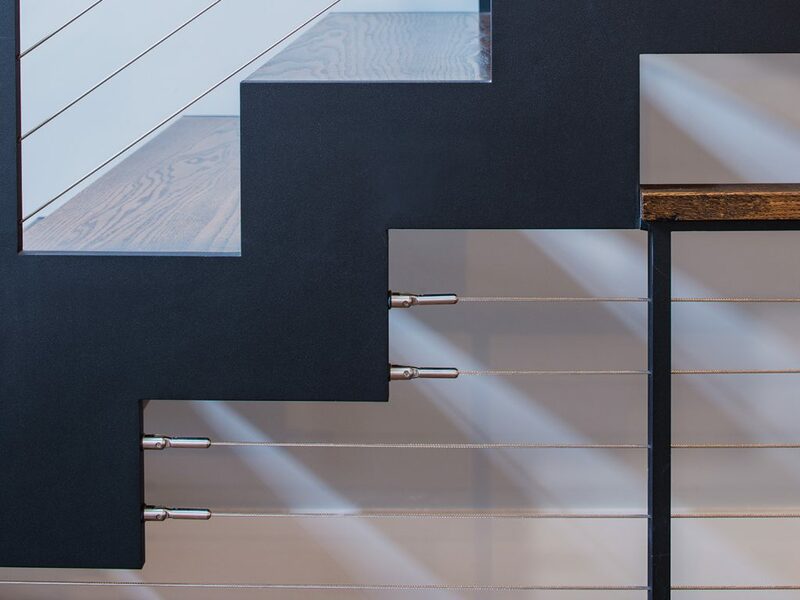 This home was completely redesigned to open up the interior space for a stylish, modern look. 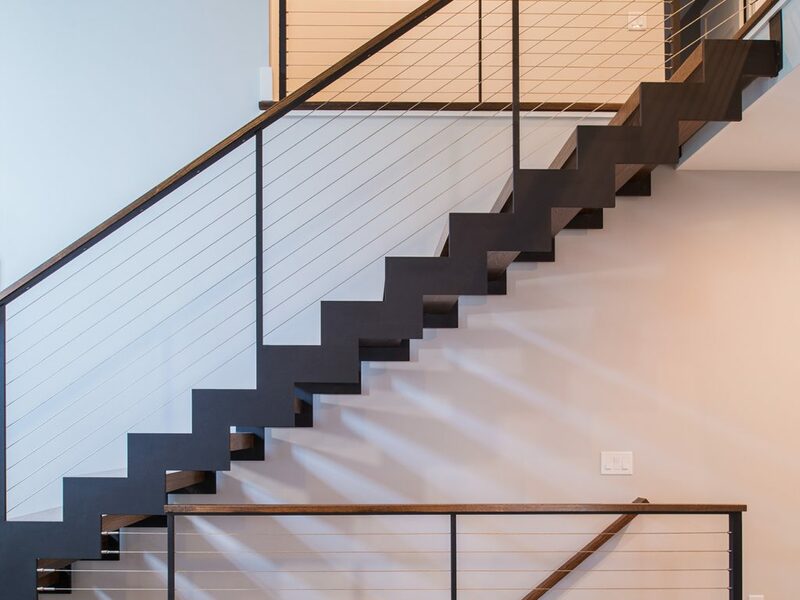 We made this custom double-stringer staircase with zigzag, laser cut, and black powder-coated steel stringers, giving them a floating staircase appearance. The treads and top rail are American red oak and paired with our Ithaca Style cable railing, resulting in a clean, modern foyer. 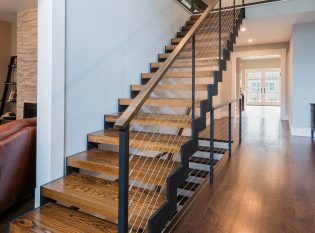 Second level foyer entry with cable railings and staircase.